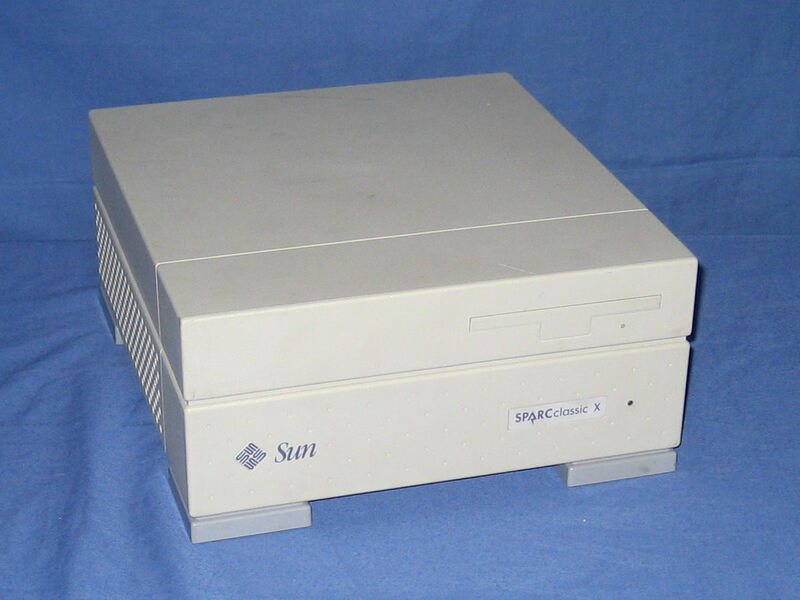 In late May 2006 I obtained this SPARCclassic via eBay. Technically it is a SPARCclassic X but it had an NVRAM update applied to make it support an internal hard disk. The front of the unit is pretty unassuming with the floppy drive opening filled with a cover. 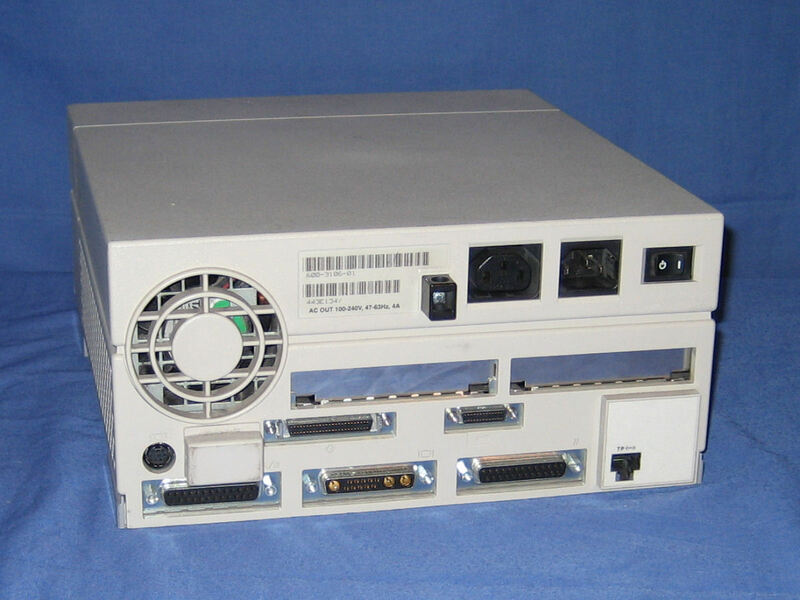 The rear of the unit features an array of ports that includes keyboard/mouse, serial, SCSI, parallel, ethernet and (behind a rubber cap above the serial ports) audio in and outs. 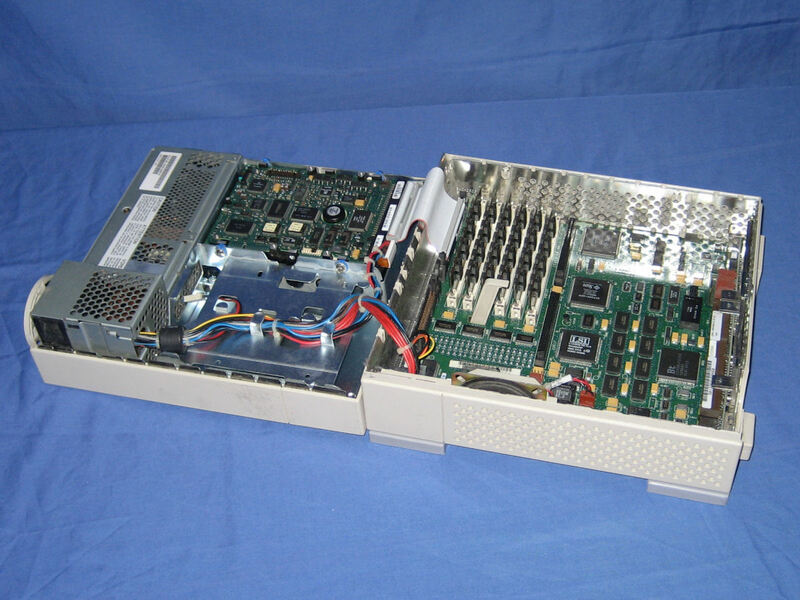 Just like the IPC the case splits into two with the mainboard in the bottom half while the hard drive, power supply and (potentially) floppy drive are housed in the top. 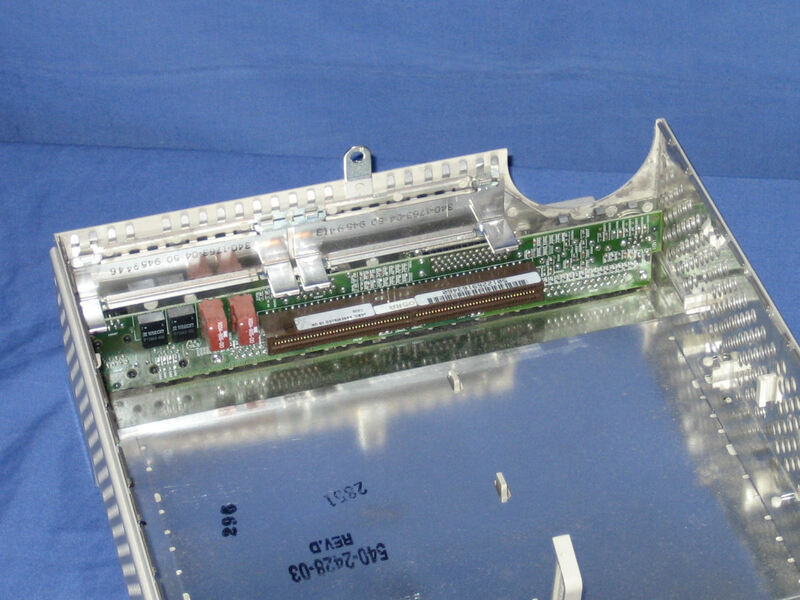 The mainboard removed from the case by simply disconnecting the power and data cables and pushing the lever that comes up through the board near the RAM slots which disconnects it from the rear ports. 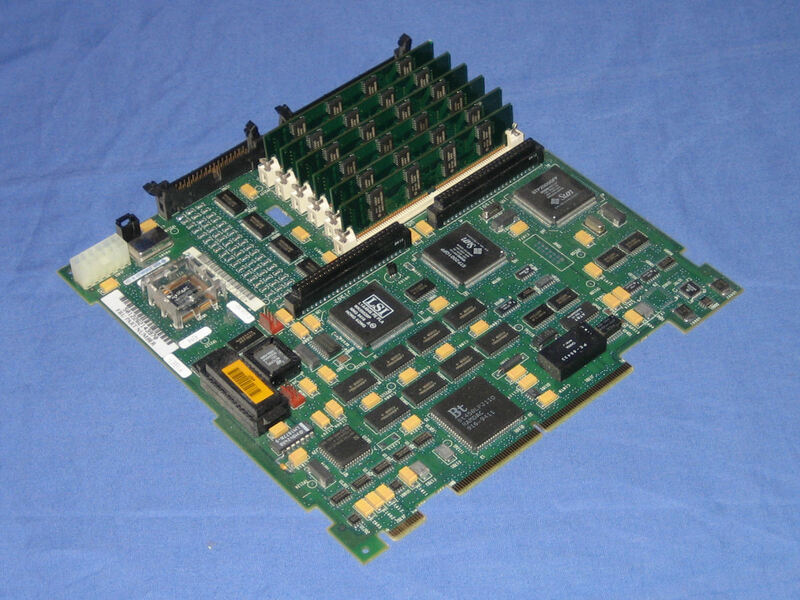 The connector on the board that holds the rear ports where the mainboard connects.